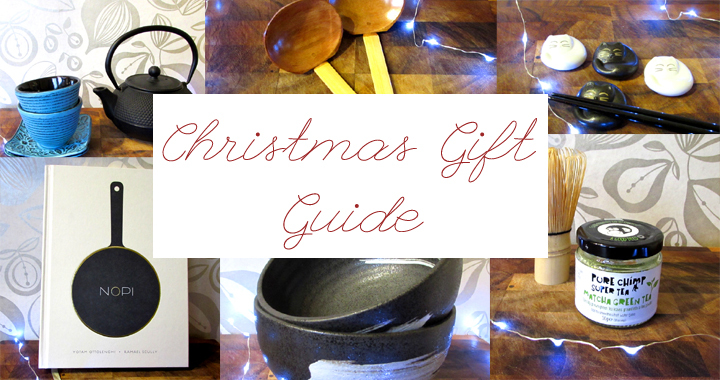 Christmas is coming and this is my guide to the perfect presents for foodies who love Japanese and Asian food, drink and culture. I always feel that just creating the food isn’t enough- I want authentic recipes, tableware, accompaniments too. Many of the gifts listed were bought for me and hunted out by family members, so that I can now share with you some of the things I love. I got a set of two of these gorgeous bowls for my birthday in October. Finding ramen bowls in the UK is quite difficult and finding ones that aren’t blue and white is even harder! 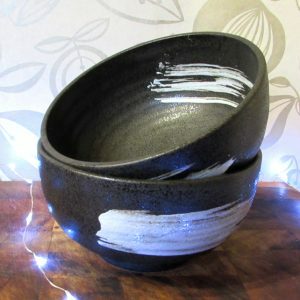 These are grey-black heavy stoneware, with light grey stripes on the outside and inside. A bit more of rounded shape than a lot of ramen bowls, I find these are perfect for serving not only ramen, but also rice bowls like donburi and even Korean bibimbap. They are also available in white with dark grey stripes, which I will probably buy before too long so I have a set of four in the two different colours. I must also add that the free gift wrapping available on all orders is really stunning! Check out the shop’s other items, because it is treasure trove of lovely Japanese things; not only tableware but also kimono, stationary and art. An essential item if you want your bowl of ramen to be authentic! 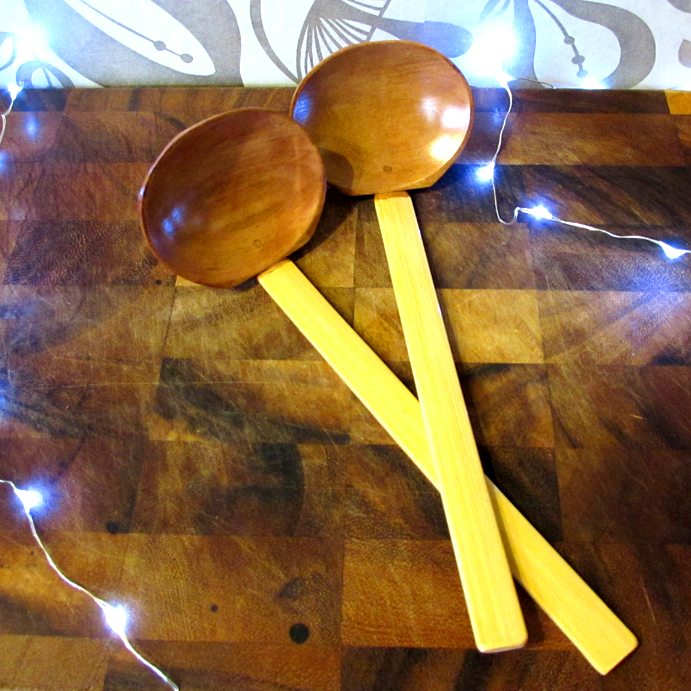 In the early days of creating ramen at home, I used small ceramic Chinese spoons, which were far too small and tended to disappear beneath the surface of the broth. It took some time to track down the authentic ladles- these came from The Japan Centre, which are currently out of stock, but you can get the same ones from Zen Minded on Amazon. They are quite expensive, but an essential if you want your ramen to be served with the correct tools! 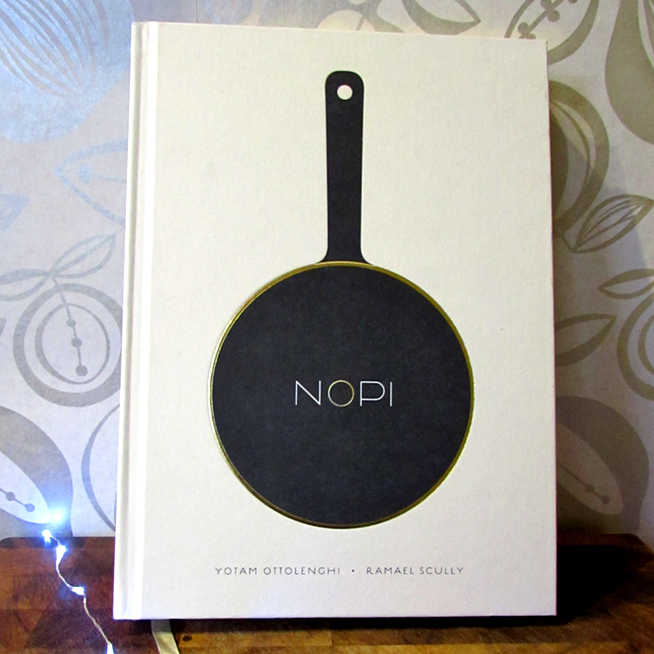 NOPI for me falls into the category of a coffee table cookery book. With its sleek cream cover, gold edged pages and stunning photos and descriptions of food, it is one of the books I reach for when I want to just have a read and look at the pictures. Although I’ve had it a year, I haven’t actually cooked anything from it yet. It is a restaurant cookery book, so the recipes are on the challenging side, with beautifully attractive dishes and interesting combinations of flavours. NOPI is a collaboration between Yotam Ottolenghi, a British-born Israeli chef and Ramael Scully, with a family covering Indian, Malaysian and Chinese, and many of the dishes have an Asian spin on fine dining, just as their restaurant of the same name in Soho, London does. The recipes in the book make for an interesting read and really help anyone who likes to cook Asian food to think outside of the box. Perfect reading for a foodie with a taste for Eastern flavours. I really love cute, quirky tableware accessories. These were a birthday present a few years ago from my brother, with a set of black chopsticks, rather than the wooden ones shown. Made of smooth stoneware, with two in white and two in black, they are cute and yet dress up a table really nicely. 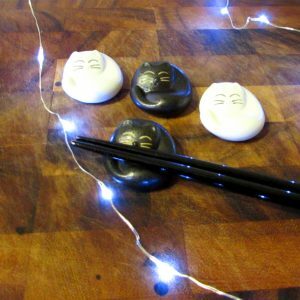 I have a few different chopstick rests, but I return to these as my favourite when we are having an oriental meal. There is something so quintessentially Japanese about the sight of a black cast iron teapot, like this one from Gifts of the Orient. If you have looked in teashops like Whittard you will have seen cast iron teapots for £50+, but this 0.6 litre teapot is beautifully made and perfect for tea for two. We now have Chinese and Japanese teas with most oriental meals so this this is a perfect accessory. It comes with an infuser insert to keep the tealeaves in the pot and not in your cup and it pours really well with no dribbles. 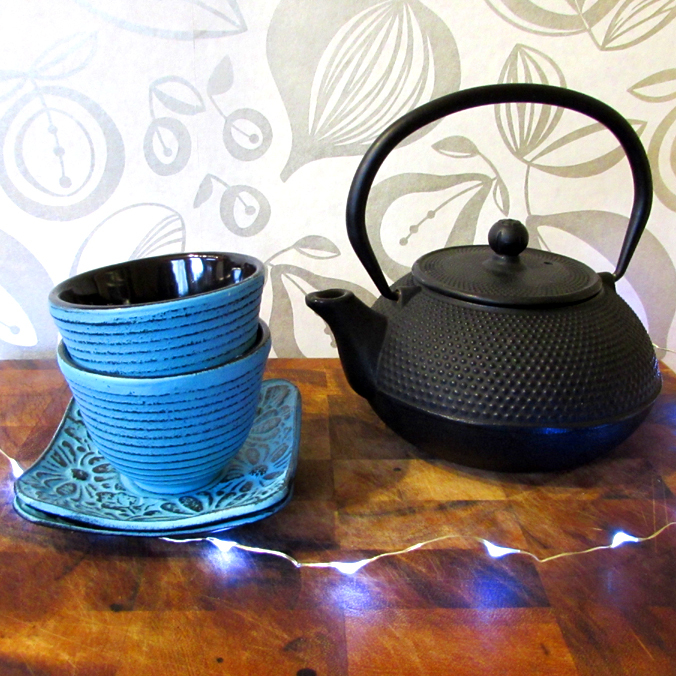 The teacups were a later addition- a present for our iron wedding anniversary this year, and I just love the bright turquoise blue of the cups with their square shaped saucers. Although you can get matching sets of cups and teapots, I actually quite like the matching but not too matching of different colours between the pot and cups. Something I discovered this year was matcha powder. I had heard of matcha but the price tag put me off until this year when I kept reading about all the health benefits of matcha. Then my Instagram kept showing me pictures of frothy green matcha lattes and I knew I had to try it. When I did buy it in the summer, I discovered not only that it tastes great, but that it can be used in so many ways, in drinks and also in recipes. Two of my current favourites are matcha pancakes topped with Nutella and matcha and white chocolate cookies from Just One Cookbook’s blog. Check out my blog post about matcha for more recipes. Of course, to enjoy matcha at its best you need the correct tools to make it and most important of these is a chasen, or bamboo whisk. This helps to froth up your matcha when mixing with hot water. Purists say the chasen is a far superior tool to an electric milk frother or a mini whisk. 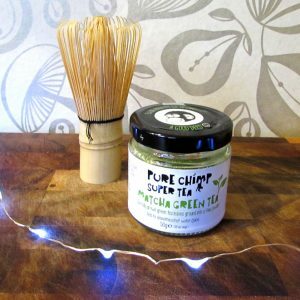 The two together make a fantastic gift for someone who is keen on Japanese food and drink, or a tea lover, to try something different. If you want to be really authentic, then there is also a chawan (or tea bowl) for making and serving the matcha in- I don’t have one yet, but it is definitely on my list of things to buy! Posted in Guides and tagged Christmas, Gifts, Guide.